Become a merchant in Underworld, the unique location based MMO game simulating drug trade. Discover a parallel underworld using GPS inside your phone. 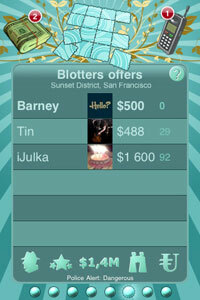 Find deals everywhere you travel in your real life and earn big buck by moving drugs around.